EAB Lite - Fine Edge 31-000345. 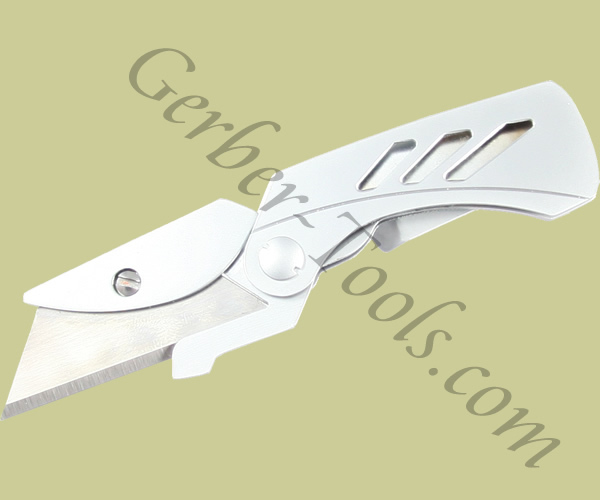 Introduced in 2010, the Gerber EAB Lite Utility Knife model 31-000345 features stainless steel construction with finger grooves for improved gripping. 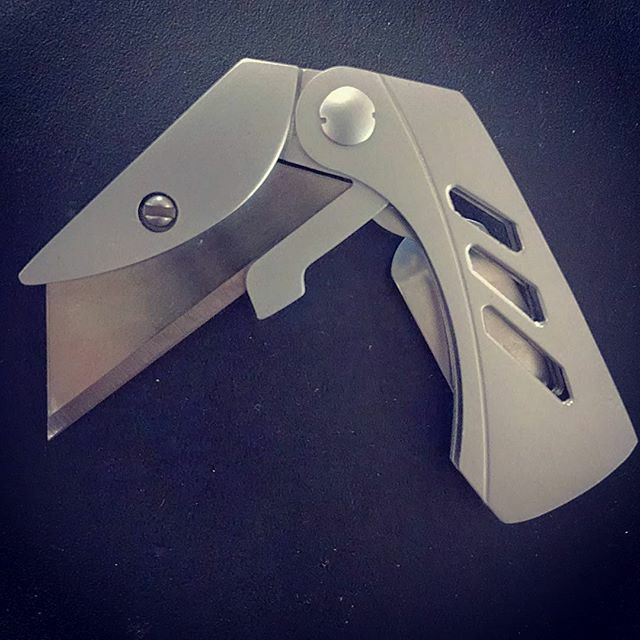 The knife accepts both standard and contractor quality utility blades. The total weight is only 2.5 ounces, and it comes with a pocket clip that facilitates easy carrying. Gerber has the holes in the handle to makes this more light weight than the original EAB utility knife.